Rinse, Recycle, Do Your Part! USAg Recycling, Inc. specializes in recycling crop protection product containers. 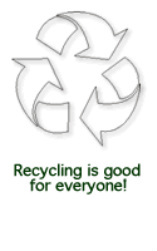 As we are supported by the Ag Container Recycling Council (ACRC), we are able to provide our services for FREE! We work closely with county extension agents, universities, and state Departments of Agriculture. You can find drop-off locations by state, here. If you have a large quantity and would like us to pick up your plastic on one of our routes, please fill out a service request or call toll free at 1 (800) 654-3145. In order to participate in our recycling program, containers must meet certain standards related to the size and type of plastic. If your containers are eligible, you will need to follow specific instructions regarding the preparation and proper rinsing of your containers. The ACRC is an industry funded not-for-profit organization safely collects and recycles one-way rigid HDPE plastic agricultural crop protection, specialty pest control, animal health, micronutrient/fertilizer, and/or adjuvant product containers. This is done through member funding of cost effective programs that foster public health and safety, environmental protection, resource conservation and end user convenience. The organization supports state level container collection programs, and works closely with the EPA, state environmental regulatory agencies, and departments of agriculture and natural resources. ACRC works directly with contractors to granulate and transport flaked containers from state approved sites. In addition, the ACRC conducts extensive research to identify acceptable end uses for recycled container plastic.